Hey everyone, So I've been diving into the audio files for Marvel Heroes (RIP) and thought why let those files go to waste, so I'll be doing some sound sets. Consider backing-up the files included. Just extract the downloads below to your Marvel Ultimate Alliance directory! Official Characters: Voicepacks will replace and update their audio files. Modded Characters: Character Mod must be installed first before downloading and installing these files. Voicepacks will replace and update their audio files. The Princess of Wakanda is here to bring honor and intellect to the battlefield. 9 Legacy Defining Xtreme Lines! The Seductive Asgardian Goddess descends with a new skin, new green power effects inspired by Future Fight and a new voice. (I used the female Loki voice as it doesn't have a mod to be used for and it fits the character.) Also updates the enemy Enchantress you fight in Asgard with this new skin. Credits to the amazing UltraMegaMagnus who converted the skin and made the mannequin. Requires the original Enchantress mod by matt710 which you can find in the Mod Catalog here. The Angel of Asgard blesses us with a heavenly voice. Finally Norrin has some new voice lines to dazzle us all! Finally a science defying smashing voice for our favorite blue scientist. 9 Genius Level Xtreme Lines! Compatiable with the Beast XML1 mod by BliZZ which you can find here and also the Beast Booster by Outsider which you can find here. 9 Luck Defying Xtreme Lines! Compatiable with the Black Cat mod by Me which you can find here and also the Black Cat Booster by Outsider which you can find here. Shoutout to Revknight for some help sorting some of the audio for this. Compatiable with normal Magneto and also MUALover's Magneto booster! Fully compatible with the awesome Star-Lord mod by Outsider & MelloMods which you can find here. Fully compatible with the Awesome Winter Solider mod by Outsider which you can findhere. Fully compatible with the X-traordinary X-23 MUA Mod by Norrin Radd originally by nodoubt_jr which you can find here. Fully compatible with the fantastic Kate Bishop mod by Outsider which you can find here. Compatible with standard XML2 Rouge mod, but also compatiable with the fantastic Rogue mod by Nowhere Man which you can find here. Compatible with all Psylocke Mods, I recommend Dhian's mod which you can find here. 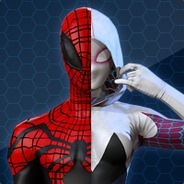 Maybe as you progress further with this new soundset from Marvel Heroes (again RIP), I hope to get more of Spidey sounds, especially the SpiderGirl&SpiderGwen ones. Other than that, this is really becoming promising for me to try. This is what I was talking about. To save at least the sound files. Thank you very much! I made one with Thor's voice lines. He have the same voice of the AEMH cartoon wich I find awesome. One question: can you access to the villains sounds? I'm looking for Kraven sounds and it will be very usefull to have any. Oh I didn't know that? That's awesome. If I find anything of Kraven's I will let you know! NOTE:Also in my testing unfortunately, just copying over the x_voice.vss file for the menu voices doesn't work and it seems to just replace it with an archived copy once you start the game. You have to use ZSMEditor tool to manually save over your file in your Install Directory. So I will upload it when I have done a few more and do a tutorial. Nice work with these files. Yes, I have her files all sorted ready to be made. Her MH voice is so awesome. And the previews are just perfect! !